You are currently viewing Archived reports for the week of 18 April-24 April 2012. AVO reported that elevated surface temperatures were observed over Cleveland in satellite imagery during 17-18 April. An explosion on 19 April at 0438, detected by seismometers at Makushin and Okmok volcanoes, generated an ash cloud the rose 4-6 km (13,100-19,700 ft) a.s.l. and drifted S. Satellite images showed block-and-ash deposits extending for up to 1 km down the S flank. A possible weak thermal anomaly was detected in images during 20-21 April. 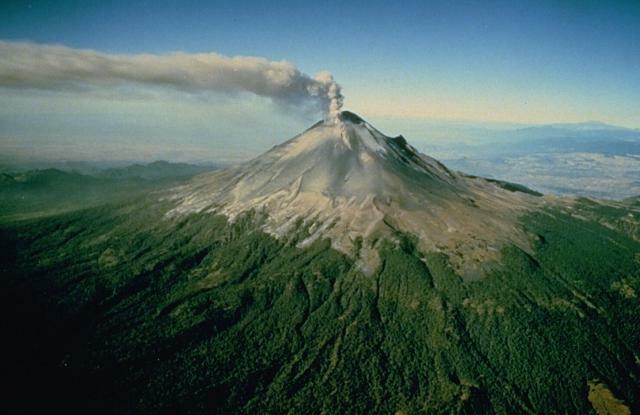 CENAPRED reported that multiple gas-and-ash plumes rose from Popocatépetl on 18 April; one of the emissions was accompanied by increased incandescence in the crater. An explosion ejected incandescent fragments that landed on the N and NE flanks as far as 800 m from the crater. The fragments landed on snow and generated small lahars. A dense gas, steam, and ash plume drifted E and SE. On 19 April gas-and-ash plumes rose above the crater and drifted ESE, and incandescent fragments rolled 1 km down the flanks. 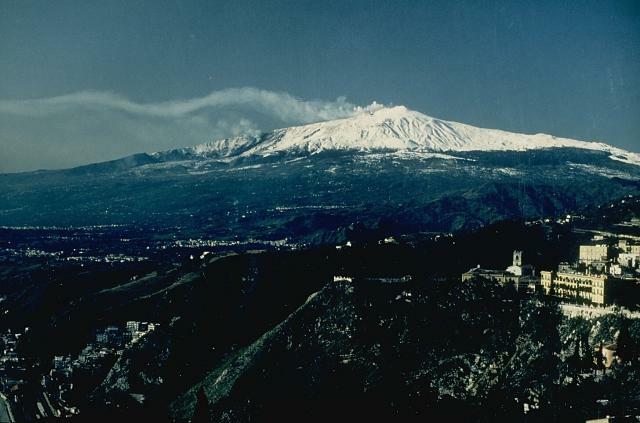 The next day an episode of spasmodic tremor was accompanied by a dense plume of gas, water vapor, and ash that rose 1.5 km and drifted E. During 21-23 April gas-and-steam emissions that sometimes contained small amounts of ash drifted SE, E, and SW. Seismicity was low during 21-22 April and again increased on 23 April. That same day an ash plume drifted NE and incandescent fragments were ejected W. The Alert Level remained at Yellow Phase Three. Sezione di Catania - Osservatorio Etneo reported that the twenty-fifth paroxysmal eruptive episode since January 2011 took place at New SE Crater (New SEC) of Etna during the morning of 24 April following about 11 days of quiescence. 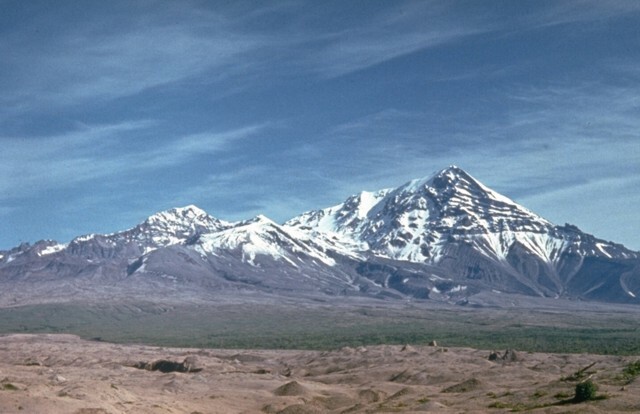 The episode was characterized by lava fountains, emissions of ash and lapilli, and lava flows that descended the Valle del Bove. 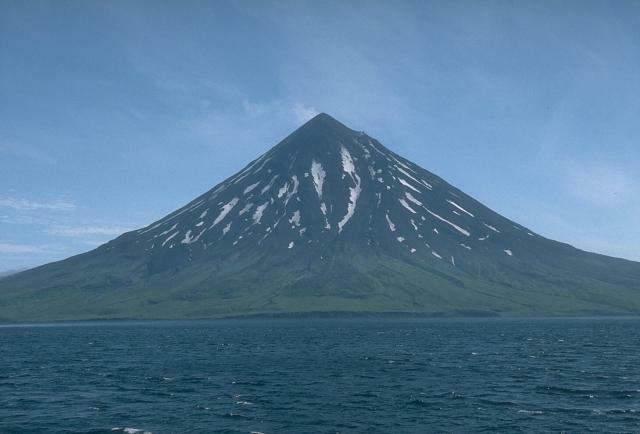 KVERT reported that moderate seismic activity from Karymsky continued to be detected during 13-20 April. Satellite imagery showed a thermal anomaly on the volcano during 15-19 April. The Aviation Color Code remained at Orange. 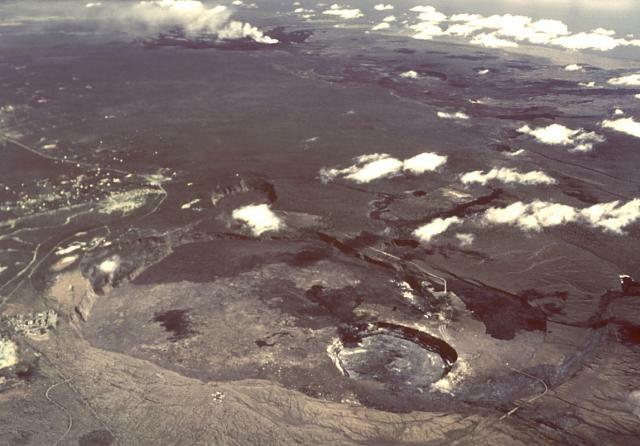 During 18-24 April HVO reported that the circulating lava lake periodically rose and fell in the deep pit within Kilauea's Halema'uma'u Crater. 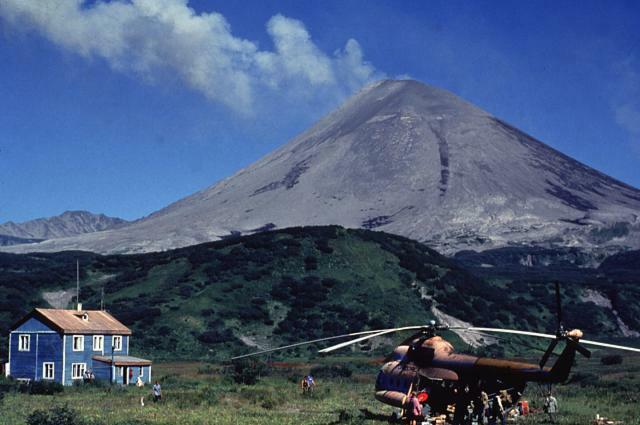 Occasional measurements indicated that the gas plume from the vent continued to deposit variable amounts of ash, and occasionally fresh spatter, nearby. Incandescence was visible from both a lava pond in a small pit on the E edge and a small spatter cone on the SE edge of the Pu'u 'O'o crater floor, and on the upper part of the lava-tube system on the E flank. Lava flows continued to advance down the pali and across the coastal plain, reaching about 1.1 km from the coast. During 19-20 April small lava flows issued from a vent on the SE edge of the Pu'u 'O'o crater floor. 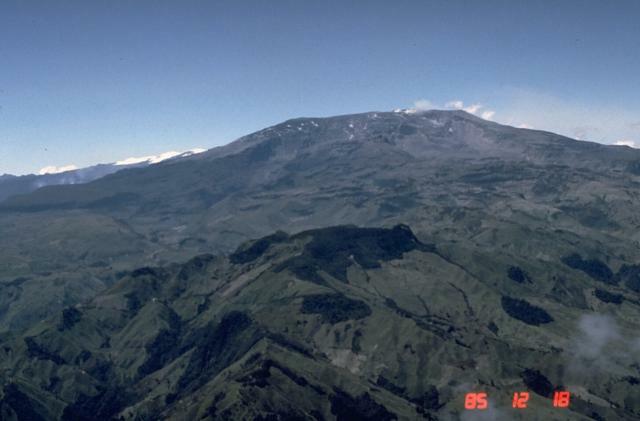 According to INGEOMINAS, the Observatorio Vulcanológico and Sismológico de Manizales reported that during 18-19 April multiple seismic signals recorded at Nevado del Ruiz possibly indicated ash emissions, but they could not be verified due to weather conditions. Video data and observers in the city of Manizales (25 km NW) indicated that gas-and-steam plumes rose 900 m above the crater and drifted SE during the morning on 18 April. Satellite imagery detected a steam and sulfur dioxide plume the next day. During 20-24 April high levels of sulfur dioxide were detected in satellite images. Gas-and-steam plumes rose 1-2 km above the crater. 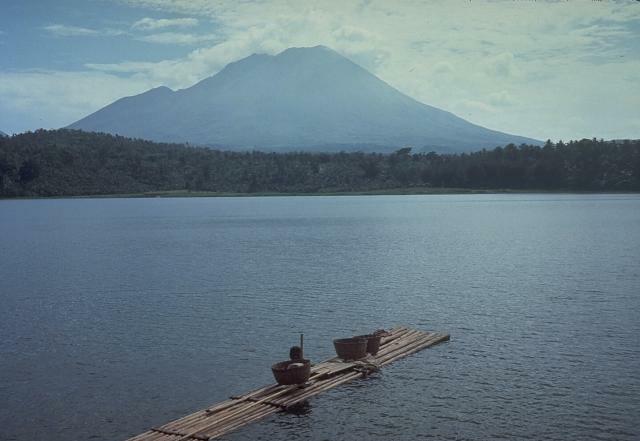 The Alert Level remained at II (Orange; "eruption likely within days or weeks"). 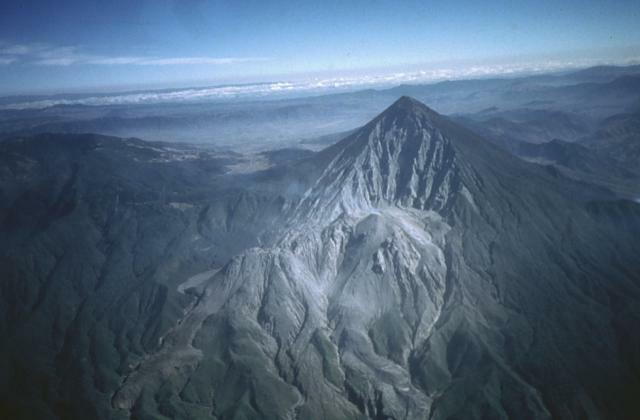 INSIVUMEH reported that during 22-24 April explosions from Santa María's Santiaguito lava-dome complex generated ash plumes that rose 900 m above the crater and drifted SE. Ash possibly fell in Santa María de Jesus and Calahuache. KVERT reported that explosive activity at Shiveluch continued during 13-20 April. Ground-based observers and satellite imagery indicated that a viscous lava flow continued to effuse in the crater formed during a 2010 eruption and was accompanied by fumarolic activity. Observers reported that ash plumes rose to altitudes of 6.5-7.5 km (21,300-24,600 ft) a.s.l. 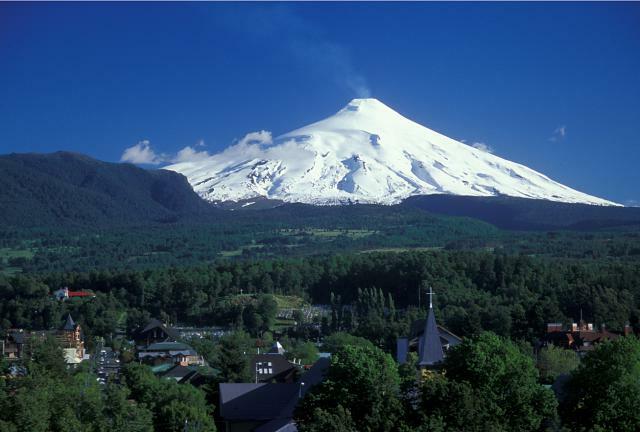 during 16-17 April and to altitudes of 4-5 km (13,100-16,400 ft) a.s.l. on the other days. Satellite imagery showed a weak thermal anomaly daily on the lava dome, and ash plumes that drifted 120 km N, NE, and E during 14-15 and 17-18 April. The Aviation Color Code remained at Orange. 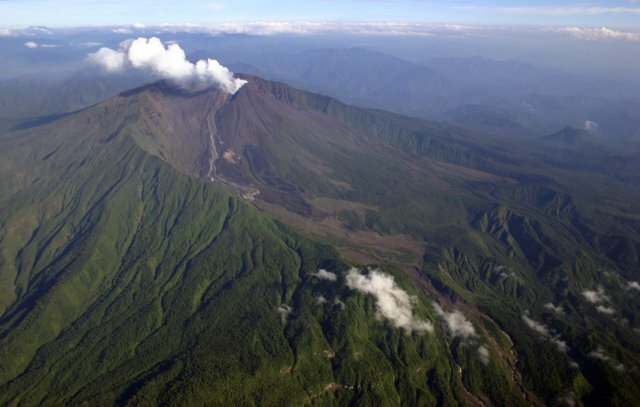 IG reported that on 18 April a plume with low ash content rose 2 km above Tungurahua and drifted NW. Ashfall was reported in Juive (7 km NNW) and Cusúa (7 km NW). 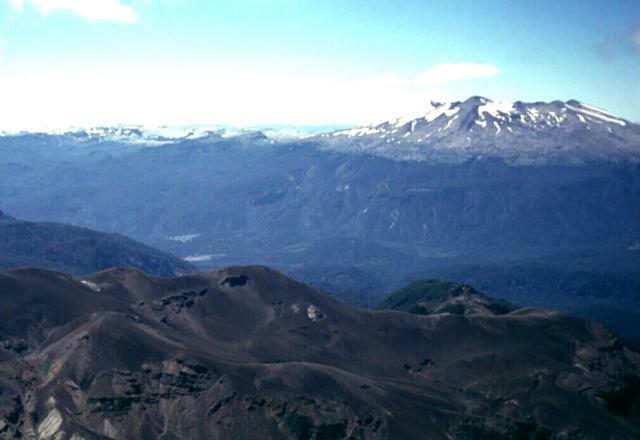 The next day, steam rose 1 km above the crater and drifted W, and lahars descended the W and SW flanks. On 20 April steam plumes rose 500-800 m and drifted W. A moderate-sized explosion on 22 April produced "cannon shots" and sounds resembling blocks rolling down the flanks. Rice-sized tephra fell in Pillate (7 km W). 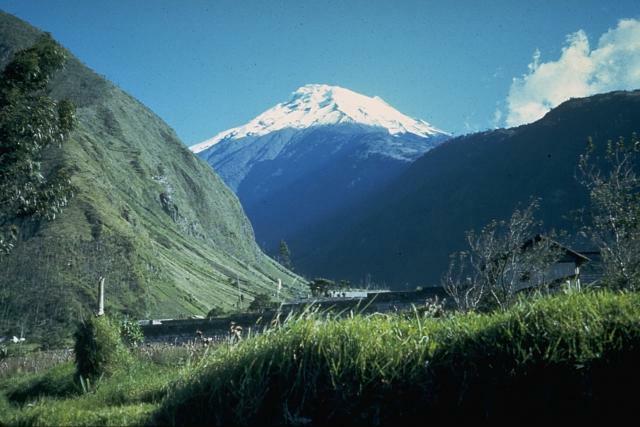 Lahars descended the Choglontus (SW), Confesionario (WSW), Romero Ingapirca, and Chontapamba (W) drainages, causing the Baños-Penipe road to close near Chontapamba. On 24 April a steam-and-ash plume rose 2 km above the crater. According to Projecto Observación Visual Volcán Villarrica (POVI), an ash plume rose 50 m above Villarrica on 19 April.